Hand trimming the Computer Cut Pc. | T&T TINTING SPECIALISTS, INC.
Hand trimming the Computer Cut Pc. 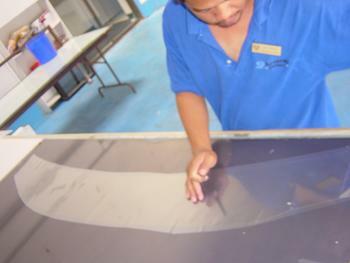 Pete trimming away the parts of the film that is not needed for the install.